....Officers of the law were stretched as thin as a pat of butter spread on an acre of toast; by 1875 the situation was intolerable to law-abiding settlers along the Territorial borders, and to the equally-law abiding members of the Civilized Tribes within it. The man – and those whom he appointed to serve under his authority – who came to the rescue of the embattled and crime-plagued citizens like a 19th century super-hero appeared in the year of the Centennial. Isaac Charles Parker ... was in his mid-thirties, a legalist of impeachable moral character, long experience in Federal administration and government, and deep sympathies for the situation of the Indians. He was also a demon for hard work, which he commenced barely a week after he arrived in Fort Smith. In his first two-month session of his court, he heard 91 cases. Of those convicted, six were condemned to death. The sentences were carried out publicly and en masse – as an encouragement to those considering a life of capital crime to re-consider their career options. 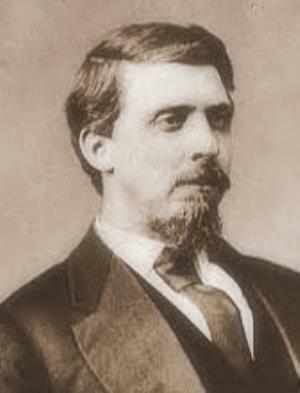 In short order, Judge Parker earned the nickname of “The Hanging Judge.” He spent the next twenty-one years on the bench in Fort Smith; the scourge of evildoers, criminals and scoundrels and the highest law of the land. Only a presidential pardon could set aside a Parker court death sentence.